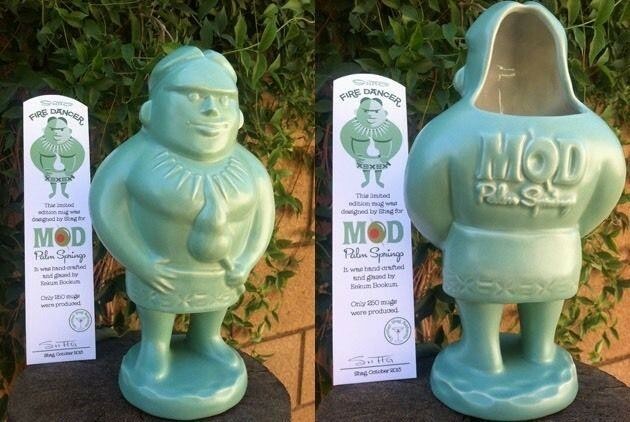 The Shag Stores and Tiki Caliente collaborated in 2013 to create a new event named MOD Palm Springs. 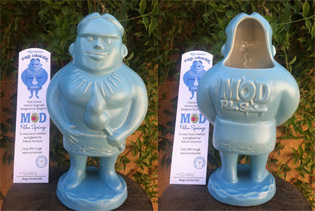 MOD Palm Springs celebrates mid-century modern and retro Tiki culture; and was first held on the 11-13 October 2013. This inaugural event was hosted at the Curve Hotel and Resort in Palm Springs and included DJs, retro bands, MCs, vintage a fashion show, mid-century lectures, and associated vendors. An architectural tour was also held to visit local mid-century modern homes. A group art exhibition named ‘Architectural Gems’ was held in the lobby with several popular artists including Josh Agle. 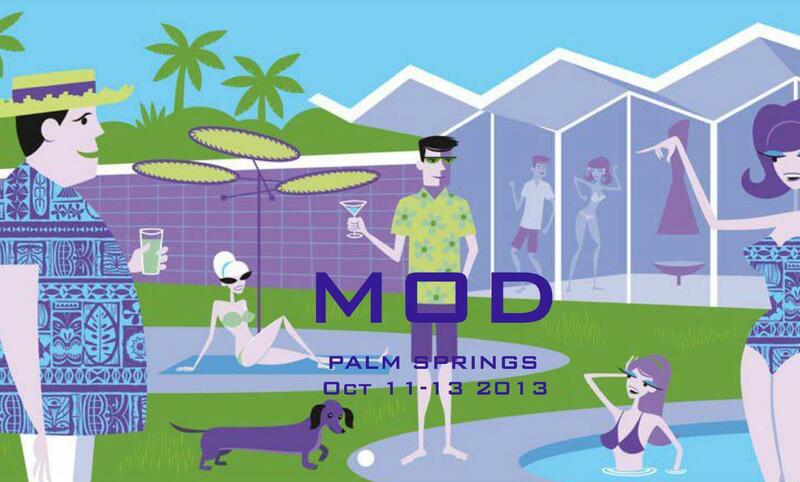 A new serigraph print was also released by Shag at the MOD Palm Springs 2013 event. The advertising for the event was via combined e-mail lists and advertising online at Tiki Central, Facebook and at the MOD Palm Springs website. A pendant was created by Kevin ‘Kirby’ Fleming for the event and hand-made in the U.S.A. The pendant was exclusive to wristband holders and was limited to 100 in the brown colourway. 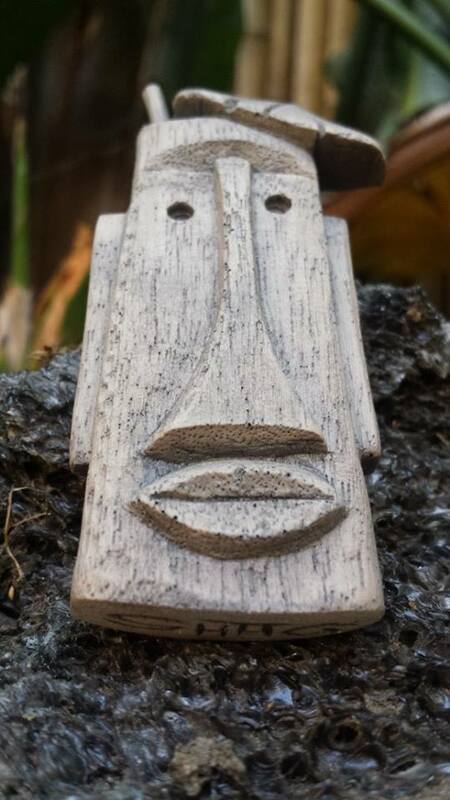 Ray Kieffer Tiki Ray carved the Mod Palm Springs 2013 pendant which was made in resin in a limited edition of 200 pieces. 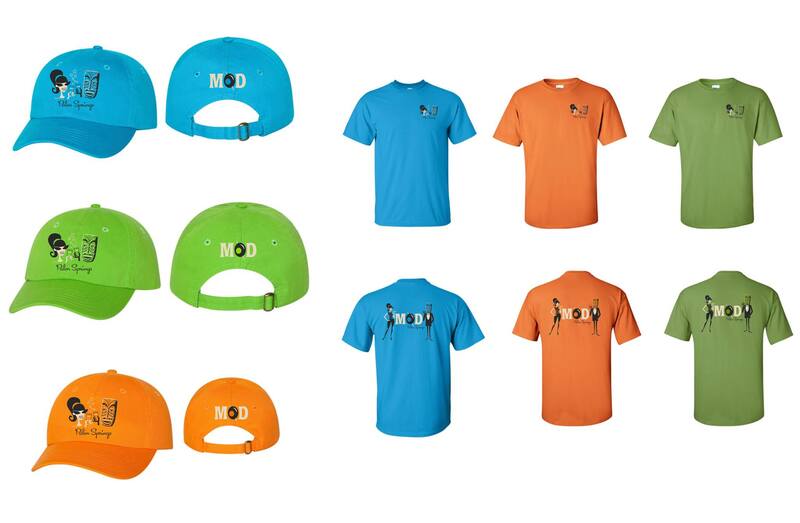 Some particularly attractive clothing was also created for the show with a t-shirt and cap available in three colours. 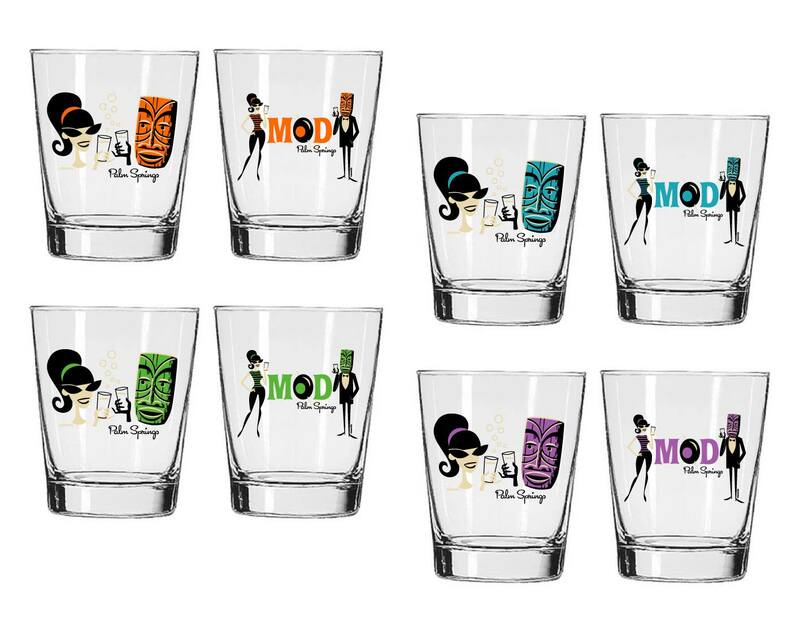 A set of four Mai Tai glasses was created for MOD Palm Springs 2013, purchasable by wristband holders only, in a limited edition of 100 sets. Each set contained four glasses, one in each colour, and cost $45 USD. 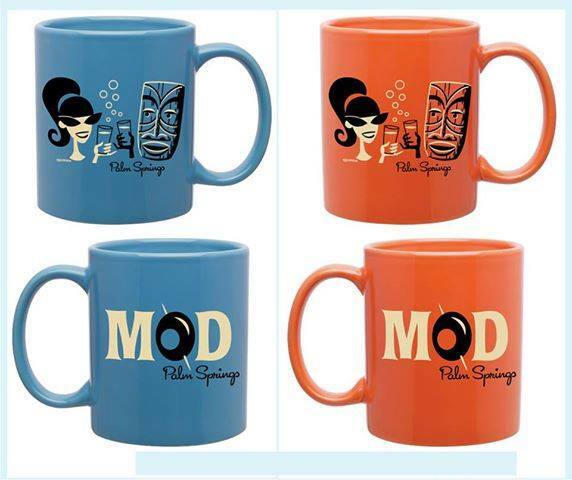 A limited-edition coffee mug was also available in a set of two (blue and orange) for $25 USD (75 of each colour). 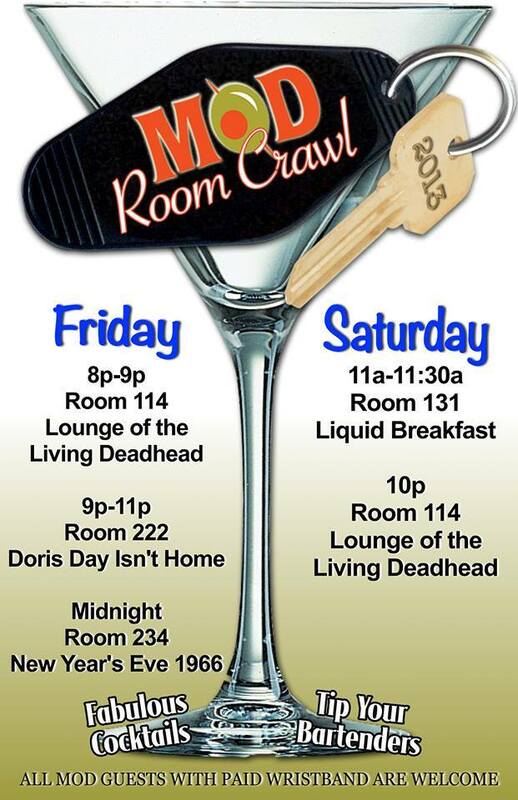 For extra excitement there was a MOD Room Crawl at the Curve Hotel and Resort. This included partying, DJs and cocktails. 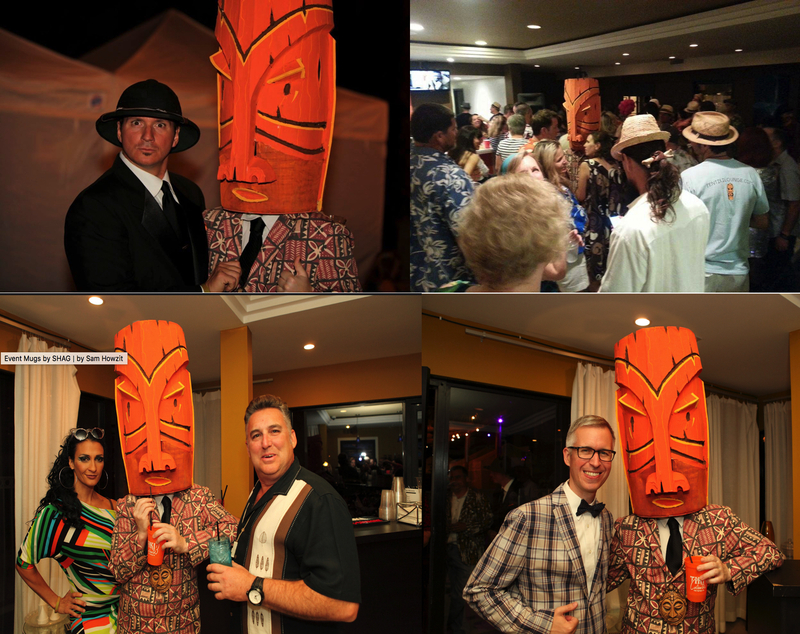 Giant Tiki head man was present in this first MOD Palm Springs event. John Mulder at Eekum Bookum was asked to create the MOD Palm Springs 2013 mug based on a Shag design. 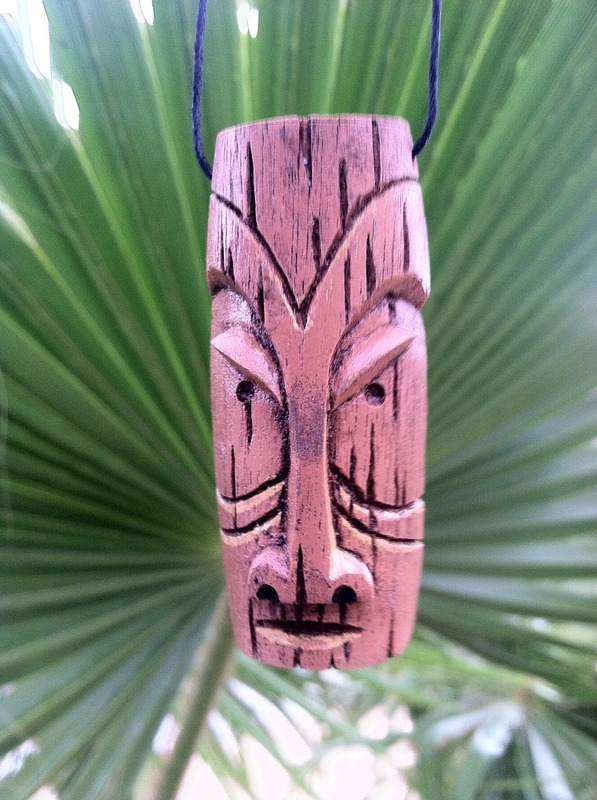 The Fire Dancer mug resembles a stereotypical Polynesian male holding a flaming torch. The Fire Dancer is manufactured in the USA and comes with a Shag signed certificate of authenticity insert. Two hundred and fifty Fire Dancer mugs were produced at EekumBookum. Unpainted and production line mugs shown below in addition to a test glaze artist proof. 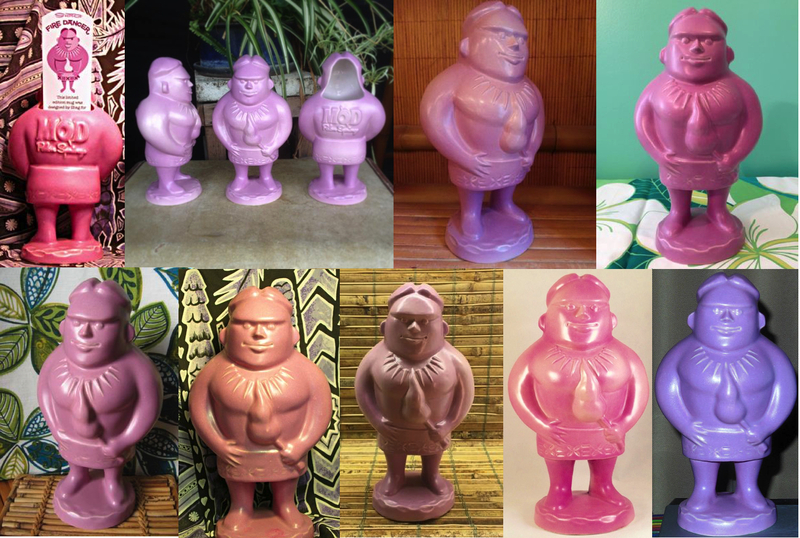 The purple glazed version of the Fire Dancer mug was exclusive to attendees staying at the Curve Hotel and Resort. The ceramic mug was a limited edition of 85 pieces, sized 9” by 5” (22.9cm x 12.7cm) and holds 16 fl. oz. Tiki mug collection organisation site Ooga-Mooga! gives the average sale price of the purple Fire Dancer mug on eBay as $87 USD. 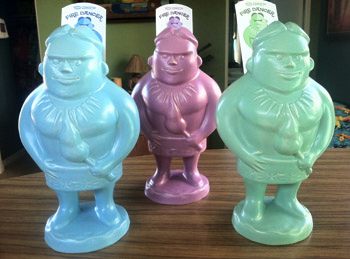 The blue glazed version of Fire Dancer was made in a limited edition of 85 mugs. The ceramic mug is 9” by 5” (22.9cm x 12.7cm) in size and holds 7.2 fl. oz. Website Ooga-Mooga! gives the average sale price of the blue Fire Dancer mug on eBay as $102 USD. The seafoam green glazed version of the Fire Dancer was also made in a limited edition of 85 mugs. It is 9” by 5” (22.9cm x 12.7cm) in size and holds 7.2 fl. oz. Website Ooga-Mooga! lists the average sale price of the seafoam green Fire Dancer mug on eBay as $127 USD. 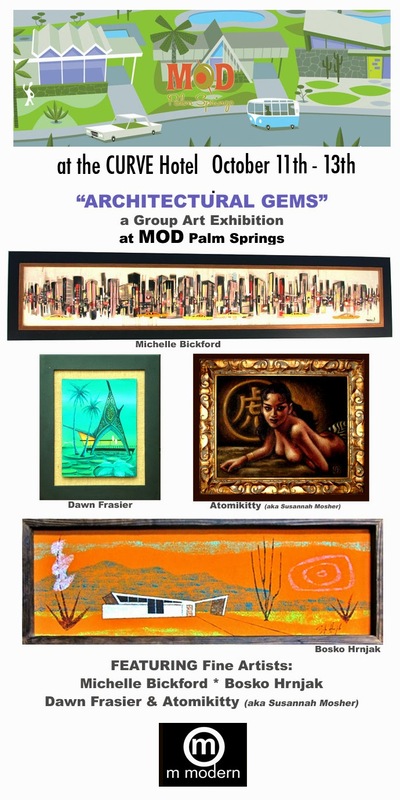 The inaugural MOD Palm Springs in 2013 was a great success and was repeated in the following year. 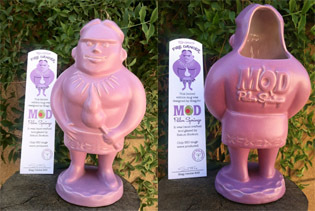 And to finish, here are some more pictures of the Fire Dancer MOD Palm Springs 2013 mug.